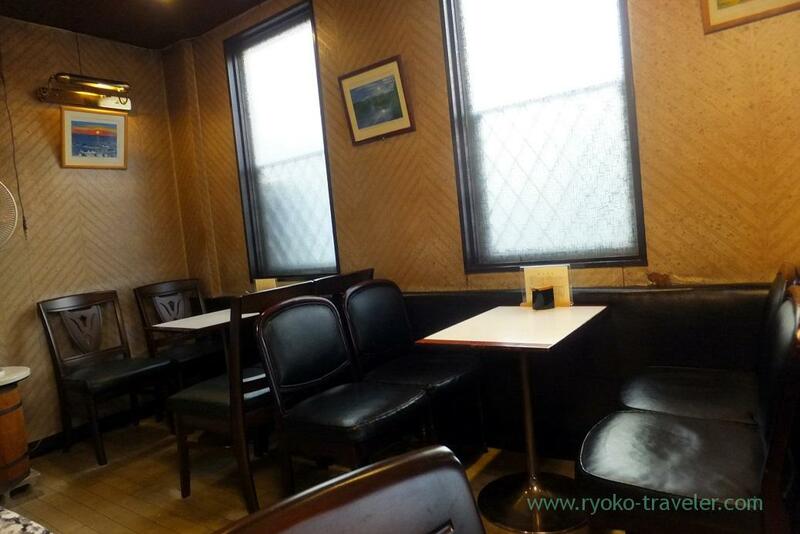 I had wanted to go to the kissaten in Hirai for a long time because I heard they serve delicious hot cake. But they were featured by so popular TV show one years ago and they still have much guests on weekends. But I heard that now it is not so crowded on weekdays. So, finally we could go there on one weekday. I like going to old kissaten and One More is one of the kissaten that I had wanted to go for a long time. I love such an atmosphere. 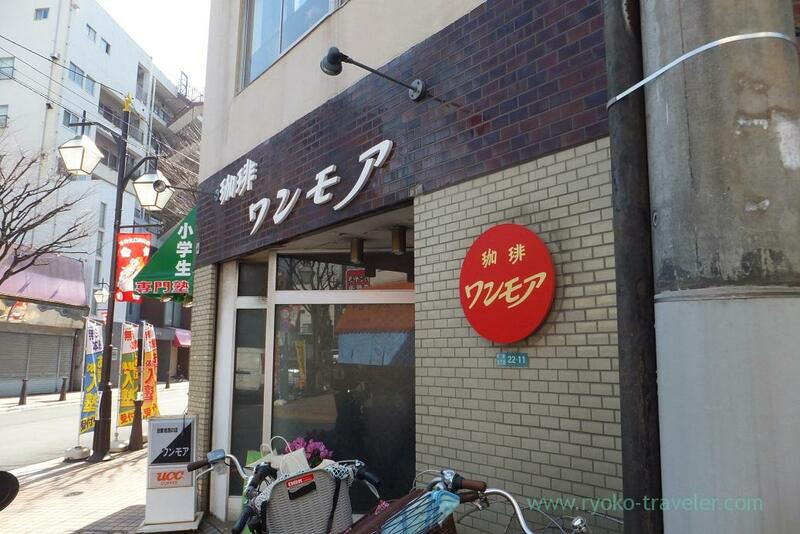 Over 40 years have passed since they started their business. There’s a counter table, too. But the shop use the counter table for working. 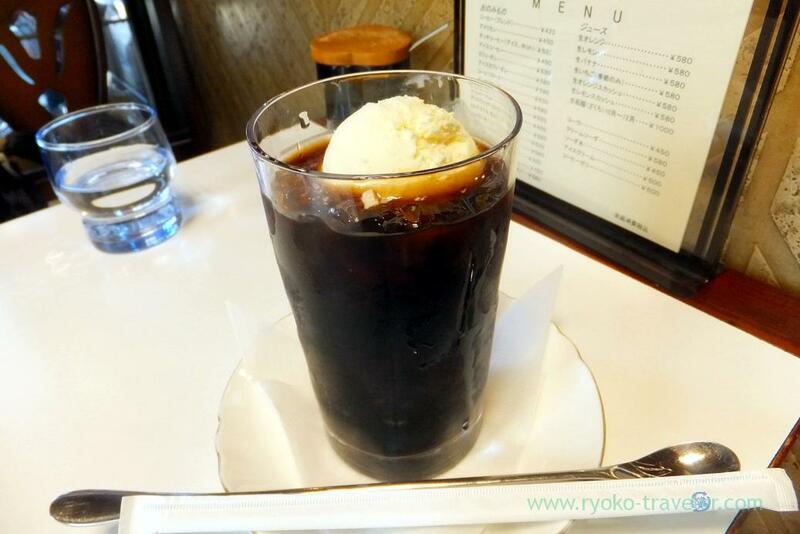 I want to have drink that have ice cream floating on it in such an nostalgic kissaten. 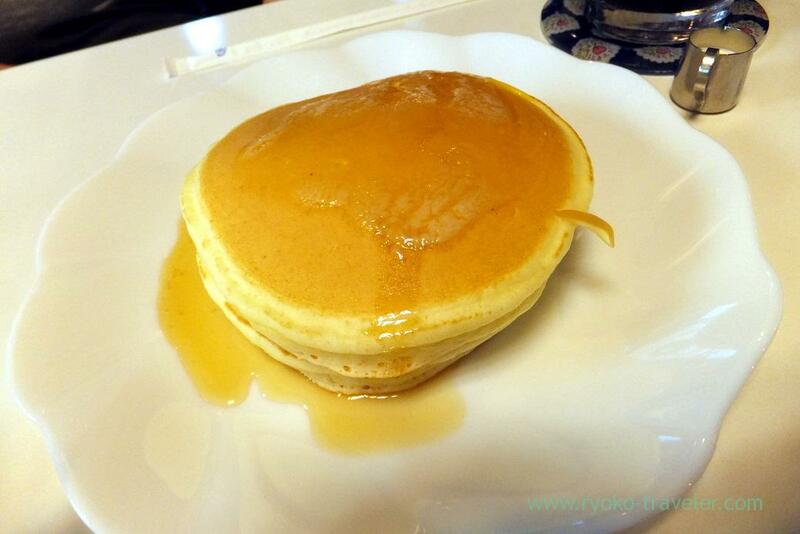 Hot cake (ホットケーキ, 530 yen) is simple. Really simple. It wasn’t too sweet and had mild taste. I also want to try french toast in the near future 😉 Their french toast have sliced lemon.Funny ! One More’s opening time is too short. So, it’s hard to go to there. I have to take a day off for them.